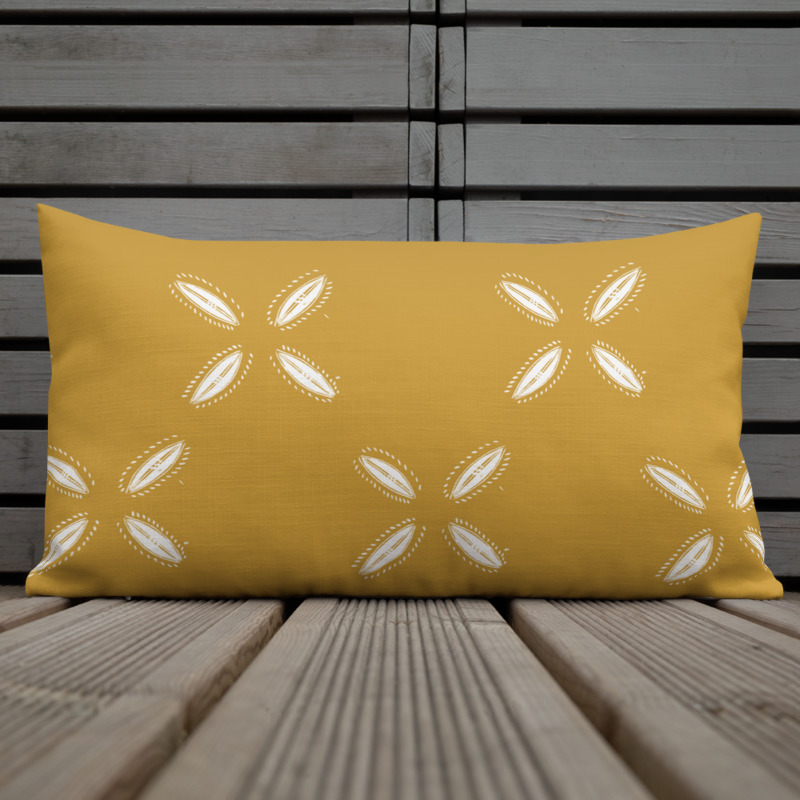 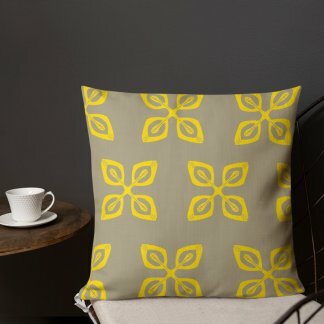 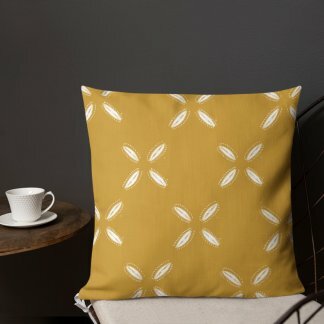 Lumbar throw pillow with cowrie design on mustard color background. 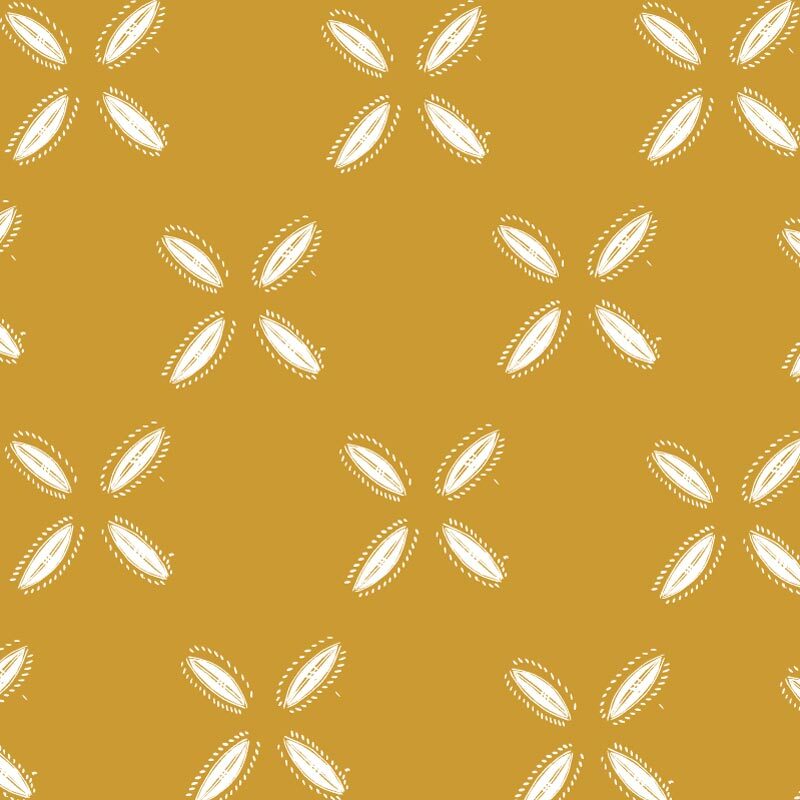 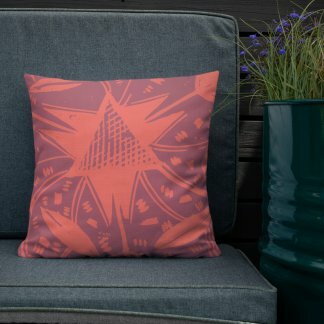 Illustration inspired by images traditionally pyro-etched on African decorative gourds. 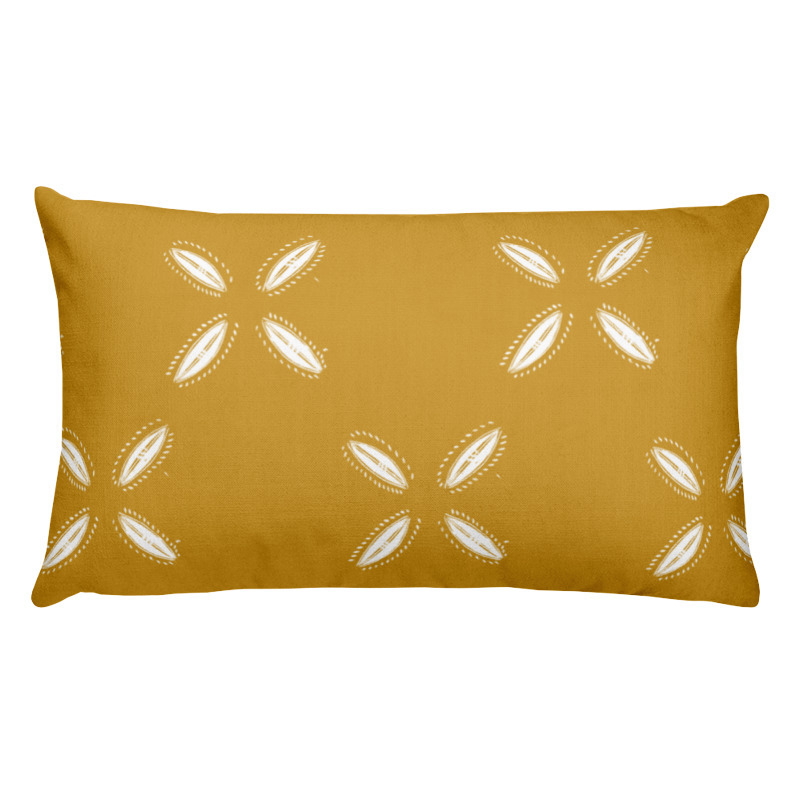 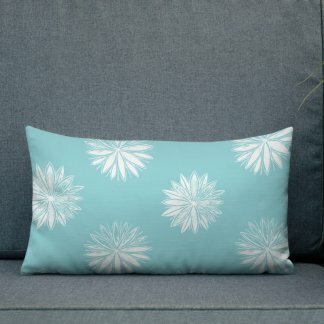 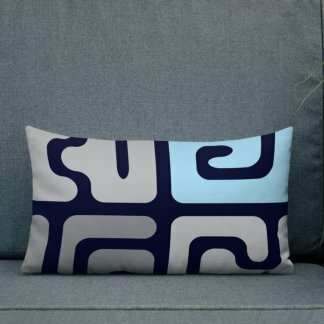 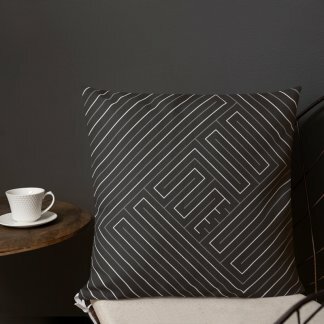 This cowrie print lumbar throw pillow features an isolated and re-interpreted cowrie illustration from an African gourd. 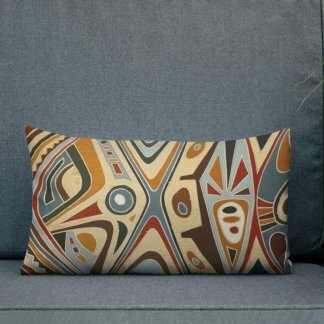 Traditionally, African gourd artisans use hot knives to carve illustrations onto gourds and one such illustration is the inspiration for this particular design.